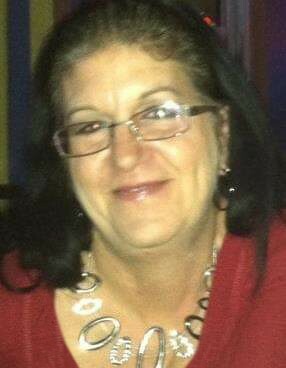 Brenda Kay Sublett, daughter of Cecil R. and Dolores Kay (Perry) Sublett, was born in Medina, Ohio on June 16, 1966. She was the oldest of three children being followed by Ralph and then Lodene. The family moved to Iowa when the children were small and lived on a farm near Diagonal, Iowa. Brenda graduated from the Diagonal High School and moved to Denver, CO where she lived for several years and then relocated to Omaha, Nebraska where she worked in the insurance industry; one job being located at Offutt Air Force Base. While living in Omaha, NE, she met John Shavlik and they had one child, a son, Gabriel Shavlik, who was the love of her life. Brenda loved the outdoors and enjoyed gardening and taking care of the yard. She also enjoyed taking walks with her dog PePe and was quite interested in birds, animals and nature in general while walking. She also loved people and didn’t have an unkind bone in her body. She was always wanting to help out whether a relative, a friend, or just someone she thought needed help. Brenda had moved to Mount Ayr, Iowa recently and was enjoying her house and large yard and various individuals she had met. She passed away unexpectedly at her home on February 2, 2019. She was preceded in death by her mother, paternal and maternal grandparents, and an uncle. Survivors include her father and step-mother, Cecil R. and Linda Beaman-Sublett of Dove Creek, CO; a son, Gabriel Shavlik of Omaha, NE; siblings Ralph A. Sublett and children Bradley and McKenzie of Omaha, NE; and Lodene Sublett and daughter Tianne of Romeoville, IL; step-brothers and step-sisters, Jeffrey Beaman (Lisa) and children Geneva and Owen of Fort Collins, CO; Jonathan Beaman of Des Moines, IA; Jennifer Beaman of Denver, CO and son Jordan Waller of Winterset, IA; and Jacque Beaman Reiff and children Seth, Ava and Eli of Winterset, IA and daughter Sami of Daytona, FL. In addition, she is survived by an uncle, Bob (Lyn) Sublett of Brush, CO; an aunt Karen Sublett of Diagonal, IA and an aunt, Mikki Wiese of Neosha, MO; plus many cousins. It was Brenda’s wishes to be cremated and no local service scheduled. Armstrong Funeral Home in Mount Ayr, IA is assisting the family. Anyone wishing to give condolences may do so online at www.armstrongfh.com.